I feel the exact same way. We should get together some time and talk about it. 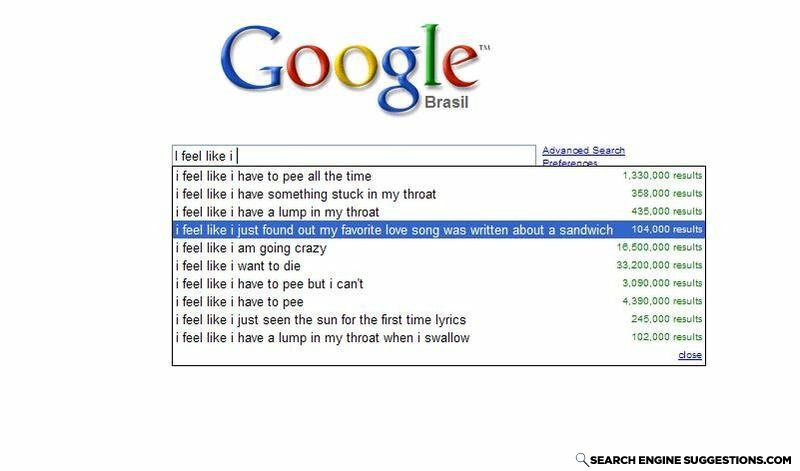 Knowing my friend who loves to eat, he would write a love song about a sandwich. Like veggie tale's cheeseburger song. It's a quote from "27 dresses"
I feel like I want to die, 33 million results? Oh. So you swallow, eh? guess what Beethoven is doing right now.